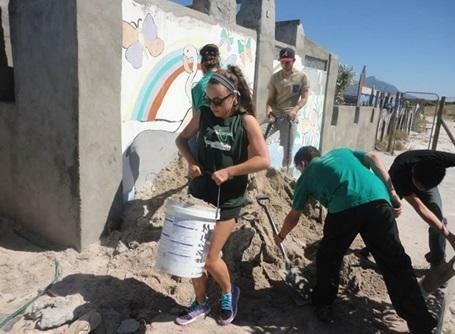 South Africa is a unique environment in which to spend time volunteering and is a thriving and lively destination. 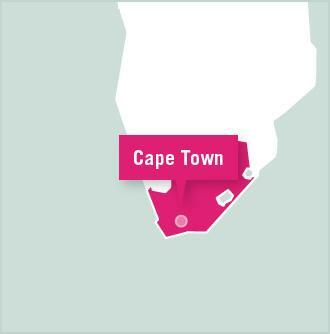 Projects Abroad is based in the bustling cosmopolitan city of Cape Town, close to the southern tip of the African continent. With eleven national languages and a variety of religions South Africa truly is the 'Rainbow Nation'. From its beginnings as the first European outpost at the Castle of Good Hope, Cape Town has grown into the second largest city in South Africa. By living and working in Cape Town’s vibrant middle class and mixed-race communities, participants will start to understand the complexities of South Africa's past and present, and help to give the younger generation the tools they need for the future. The first two weeks in South Africa will be spent on our Building project in the formerly segregated communities that surround Cape Town. The aim of the project is to provide a community centre in Village Heights, just on the outskirts of the city. This physical project creates long-lasting, tangible results for the local community and is a great team-building exercise for the group. 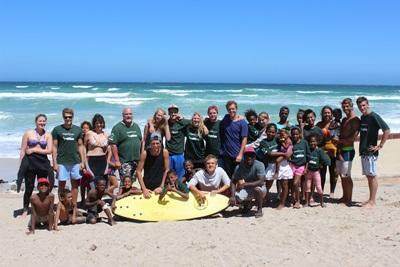 If you’re interested in working with children in local communities, our Care and Surfing projects would be the most suitable. Our Journalism and Human Rights projects are perfect for those who’re looking for an internship style placement. No matter which project you choose, you will be contributing to long-term worthwhile work. Participants will spend the first or second weekend visiting a local historic or cultural site with our local staff.